BlackwaterBLUE from monkster.com: ...and now a link with Tevez!? ...and now a link with Tevez!? Roman Abramovich has signalled he is ready to bankroll a sensational £80m swoop for Luka Modric AND Carlos Tevez. Chelsea’s billionaire owner is understood to be prepared to gamble on the unpredictable Argentinian to help make his Champions League dream come true this season. Sources close to the Russian say he is giving new manager Andre Villas-Boas 'whatever it takes' to get the players he needs - and that could include Tevez. A second bid of more than £30m is set to be made for Modric despite Spurs insisting that the Croat is going nowhere. But the prospect of pairing Tevez with Fernando Torres has become a possibility after the want away Argentininan hinted that he quite fancies a move to London - despite originally saying he wanted to be nearer his daughters in Argentina. 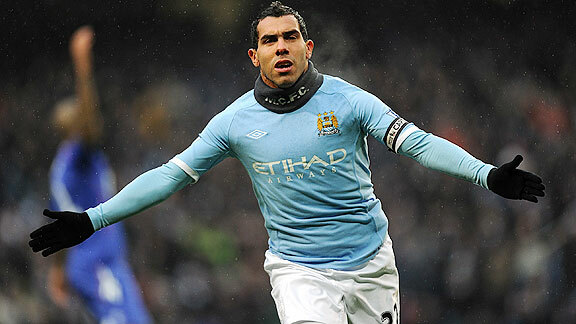 Manchester City are likely to demand up to £50m for Tevez, who still has three years left on his contract. And there is no one remotely near Argentina who could stump up that sort of cash - or meet his wages.